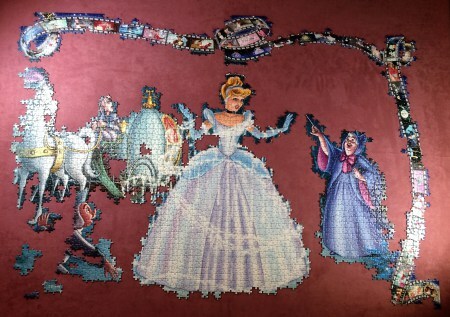 This is part 2 in the 11 part series on the 40,320 pieces Disney Memorable Moments jigsaw puzzle. 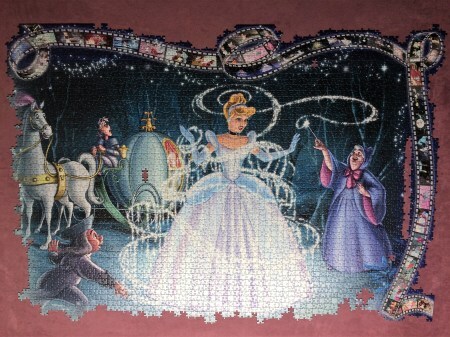 I loved assembling this behemoth of a puzzle, and I'm enjoying sharing it with you too! After Snow White I had planned on assembling Fantasia next. In my mind Fantasia, Peter Pan, and Cinderella looked to be the most difficult. I didn't want to save those for last so I planned on alternating between easy and difficult sections near the beginning to get the challenging ones done early. That way when I was nearing the end I wouldn't be dreading having to do the hardest ones. Sometimes I have to trick myself. I started to sort Fantasia and found a damaged piece with part of the image missing. Normally that wouldn't be much cause for concern but I'd spent several hundred dollars on this puzzle and I wanted it to be perfect. I called the company and made arrangements for a replacement section to be sent to me. Ravensburger has always been excellent with their customer service and they were wonderfully helpful. Unfortunately it wasn't for sale in the US yet, so I had some waiting to do before it was available. 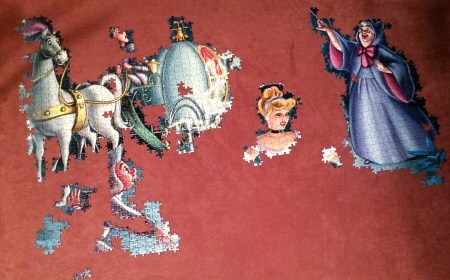 No worries, I moved on to the next challenging section - Cinderella. After the first few days the fairy godmother was complete, along with most of the horse & carriage. The flesh of Cinderella and the footman were done as well. That ball gown may have only taken a few moments for the fairy godmother to whip up, but it took me 3 days! Once it was done I tackled the film strip (they are so detailed and gorgeous!) and tried to get everything in it's approximate place on the board. Filling in the top of the image below the film reel took several more days as it was very dark; I procrastinated as long as I could before I finally tackled it, but it came together beautifully. And here she is, beautiful as ever! Boy was I glad to get this one done and under my belt. 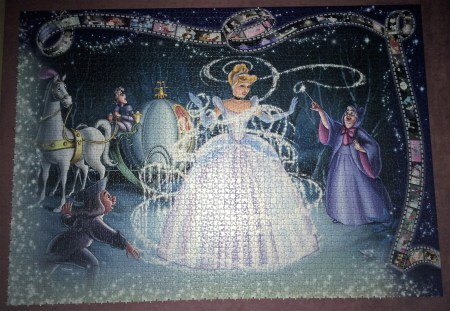 This section only took 16 days compared to the 20 days it took for Snow White, not too shabby! I think I learned a few tricks with the first section, and I probably worked a little harder to get it finished because it was difficult and I wanted to get it done. It's funny how it looks like just a regular sized puzzle, but if I laid across it from corner to corner it's taller than I am! 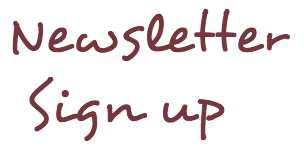 If you'd like to see the daily progress on Cinderella, click here for the first day of assembly and scroll down to the bottom of the page to click on the "next" post to read along with my daily updates. I hope you enjoyed this section, stay tuned for what's coming next - Dumbo!